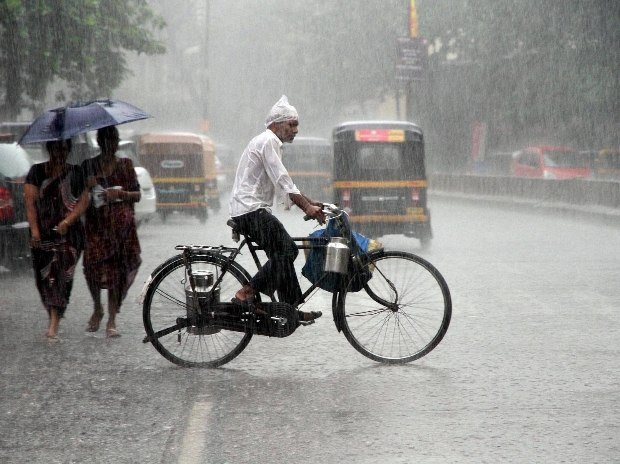 WHAT WEATHER CAN I EXPECT DURING THE INDIAN MONSOON? India has three seasons: Winter with pleasant temperatures and almost no precipitation from the end of November to March, Summer with dry or humid heat depending on the region in April, May and October and November and the Indian Monsoon, from June to September. Monsoon is a very exotic concept to those travellers coming from more moderate climate zones who associate it with different conditions – from constant drizzle to short but heavy rainfalls to tropical storms and gales. However, India is a big country with multiple climate zones and therefore the monsoon can develop differently in various areas of India. However, and we don’t want to butter it up, it does rain a lot…like A LOT. Not like British drizzle or the one shower for a couple of minutes like you get in South-East Asia. It often rains for days and it rains heavily in the tropical areas of the west coast and in the north of India. The cities have an almost non-existent drainage system and the streets flood quickly. And on top of it, there is the humidity, your constant travel companion. Clothes don’t dry for hours, sometimes even days and the heat feels more discomforting. 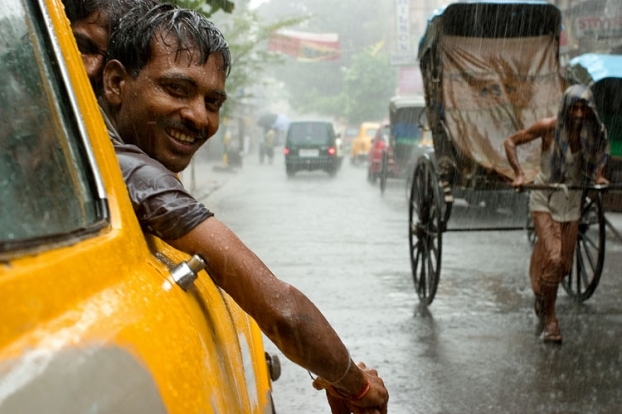 It’s all about the attitude when you travel during the Indian monsoon. In the mountains, landslides aren’t uncommon. Transport, especially buses and trains can be delayed and due to heavy fog and rains, even air traffic can be disturbed. Almost all national parks in India are shut from June to the beginning of October and tiger and other safaris would not be possible. WHY SHOULD I STILL TRAVEL IN INDIA DURING MONSOONS? Although the weather can sometimes be quite unpleasant from June to September, there are benefits to this season. Nature comes to life, dry brown grasslands and forests become lush and green, the farmers welcome the season with full productivity and lakes, rivers and waterfalls fill up and become stronger than ever. This all is a pleasant sight in a country often struck by droughts. Many tourists avoid India in the monsoon which means that you have a lot of sights to yourself. That makes it easier to connect with the locals and experience more authenticity. The typical tourist scams appear at a minimum and all together you just don’t feel like one in a thousand travelers while you stroll the lanes and monuments of ancient India. Furthermore, it is the best time for budget-conscious backpackers who like to keep their expenses to a minimum but don’t want to miss out on some comfort. Many hotels offer their rooms for a lower rate, often even for half the costs than in the main season. You can stay at boutique hotels or luxury resorts for low prices. Good accommodation is a must during Indian monsoons as you might spend some time indoors when a particular strong downpour hits the city. WHERE TO TRAVEL TO DURING THE INDIAN MONSOON? Technically, you can travel anywhere as long as you are mentally prepared and pack the right clothes. However, some areas might be more enjoyable than others. The India monsoon hits the west coast the most. Therefore, Goa and Kerala face a lot of rain and humidity. We would recommend avoiding coastlines. The beaches lose their charm and the strong currents make swimming even dangerous. The beach resorts and shacks close in April and don’t open again until September or even October. So, the monsoon is the best time to hit the countryside and hill stations. As nature and greenery are at full swing, it’s a pleasure to walk through the lush hills and pass the freshly filled lakes and rivers . Wayanad, Munnar and Thekkady are beautiful during this season and so is Dudhsagar Waterfall Hike in Goa. Ooty in Tamil Nadu is very popular amongst domestic tourists who want to escape the heat of the cities. 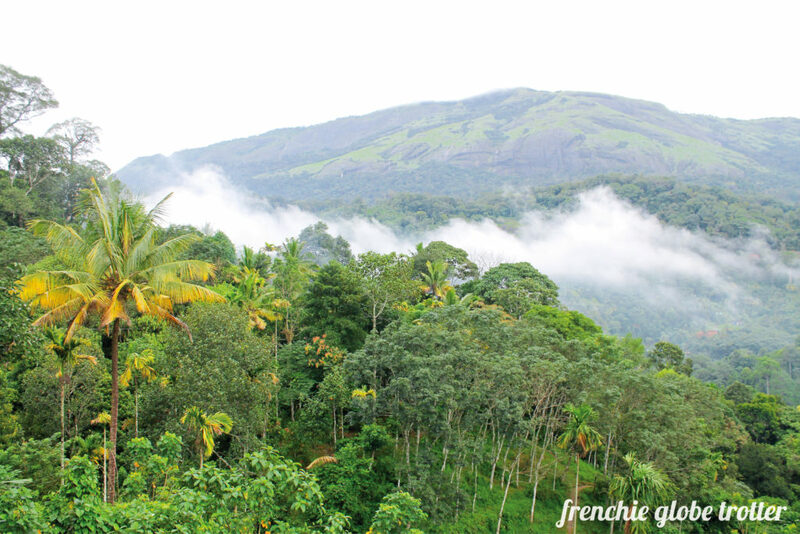 Munnar in the Western Ghats is famous for its tropical mountain climate as well as the tea plantations. A great destination even in the rain! If you want to escape the Indian monsoon all together and enjoy stunning landscapes in the mountains, Ladakh might be the best destination for you. The state in the most northern part on India is flanked by the high mountain ranges of the Himalayas and the Karkokram mountain range. The state offers breathtaking views and great opportunities for hikes. It’s called the cold dessert for a reason as the precipitation is very low up there. It’s ideal to go there between June and August, when the days are moderately warm and nights pleasantly cool. 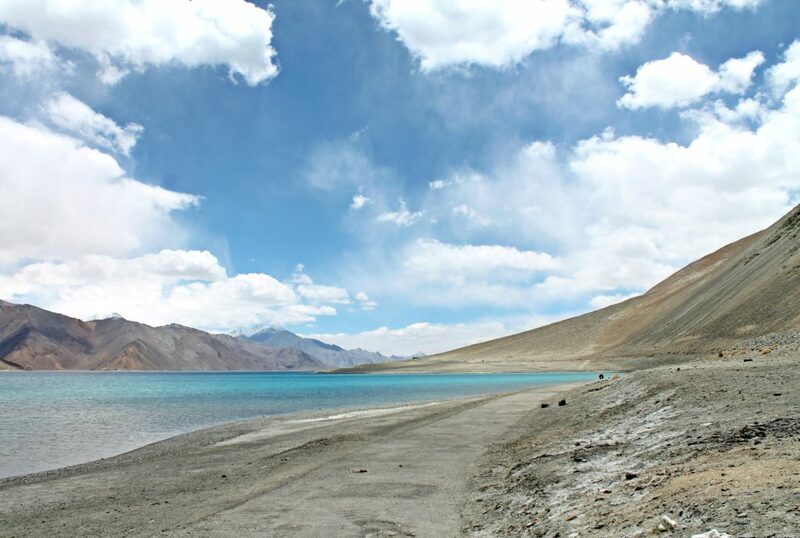 When the monsoon hits central and south India it is the best time to travel to Ladakh where the sun is still shining. Even though it can rain a lot in central India, i.e. in states like Uttar Pradesh, Madya Pradesh, Maharashtra, Karnataka and also Bihar and West Bengal, it might be a good time to visit than in April, May or October since the temperatures are lower, especially during overcast and cloudy weather. The rocky surroundings of Hampi where you can explore ancient temple and palace ruins of an empire long gone, might be worth a visit as it can get very hot and dry in central India during the rest of the year. Combine it with a visit to Mysore and Wayanad. Find out more here. Rajasthan faces less rainfall every year and some rural parts don’t get any rain at all, especially in the Thar desert. There are very unique and beautiful boutique and heritage hotels that lower their prices a lot during the rainy season. The south and east of Rajasthan become very green and lively. Hiking is definitely an attractive option. From June to August you should avoid travelling to the footsteps of the Himalayas. Rishikesh, Dharamsala, Manali, Shimla and Kasol as well as Sikkim and Darjeeling face a lot of heavy rainfall and therefore many landslides. Trekking is impossible and you would need to stay indoors most of the time – not how you would like to spend your time in India! In a nutshell, in the south avoid the beaches and big cities and enjoy the countryside and hill stations, in the north travel to the high mountain ranges of the Himalayas or enjoy the lower temperatures in Rajasthan. WHAT TO WEAR DURING THE INDIAN MONSOON? The most important thing to take care of in India in the rainy season is the right footwear. Flip Flops aren’t the best option as you just flip the dirt against your legs while walking. Any sandals made of lasting rubber and with a back strap to hold the shoes to your feet are a good idea. Some people enjoy gum boots but for others, they might be too warm and heavy to carry. So do invest some money in good quality rubber sandals or check the markets after arrival as the locals know best about how to cope with the flooded streets. During the Indian monsoon, you need to pack water-proof clothes and shoes. A thin rain jacket with breathable material is essential and so are thin light clothes that dry quickly. Pack clothes that cover your skin entirely as the sun can be quite harsh during monsoons. Also, pack a rain jacket and an umbrella to make your travel easier. It is important to carry mosquito protection spray because, with the rain, comes a high chance of being infected with malaria or dengue. Also, pack rain covers to keep your luggage safe. My PE teacher used to say ‘there is no such thing as bad weather, only a bad choice of clothing and attitude’. Of course, I didn’t agree with her while running 1000m in cold rains and heavy winds but she had a good point. It’s all about setting the right expectations and making the best of the situation. The Indian monsoon has disadvantages but also many benefits: the lush greenery, fewer tourist crowds, cheaper accommodation and lower service prices. However, we can’t predict the weather and every monsoon is different. One year it could rain cats and dogs and the next, India could suffer from droughts. So do embrace whatever comes your way and make the best of it in India…someday!